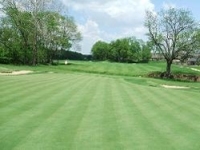 Below are reviews from local golfers. To submit your review on a course, search our course directory. At the bottom of each course profile is an option to submit a review. Course went bankrupt and closed down years ago. Current owners have built a senior center on the old course. Great layout! Awesome Greens! Must play!